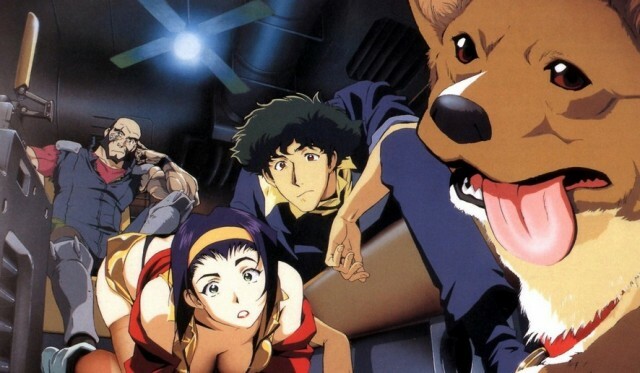 Netflix has recently announced their plans to make a Cowboy Bebop live-action series, and though some fans may not want it to happen, this series is pushing through nonetheless. Just in, we have some character breakdowns for the film, and we get a clue on what the live-action version of the Bebop crew is going to look like. An Asian (or mixed heritage) woman in her early 20’s to mid 30’s and must have athletic ability. Faye is the female lead of the show. She is an attractive bounty hunter with a sharp tongue. She’s a survivor who will con anyone to get what she wants. Faye has no memory of her early life, including family or friends. So, even though she’ll never admit it, she likes working with the other members of the Bebop crew. An African American (or partial African American) man in his mid 30’s to early 50’s. An ex-cop, Jet looks intimidating but is a softy at heart. He became fed up with the corrupt system, but he still catches criminals as a bounty hunter. While Jet believes in the law, he will always back up a friend. Occasionally, he will even relax and have fun. 14-year-old girl, must have athletic ability and short stature. Ed is a 14-year-old computer genius and expert hacker whose talents are indispensable. She is extremely energetic with a child-like wonder and is eccentric, bordering on the bizarre. It looks like the series is already treading very lightly when it comes to casting. After the whole debacle with Scarlett Johansson in Ghost in the Shell, they’re now looking to cast Spike with Asian ethnicity. Then again, just listening to his name I never expected Spike to be Asian in the first place—not like that’s going to stop anyone from complaining once the show is cast. A man in his mid 20’s to mid 30’s of any ethnicity, with pale skin and white hair. Vicious is the merciless leader of the criminal organization known as the Syndicate. He will kill anyone who gets in the way of his business without a second thought. A woman in her mid 20’s to mid 30’s of any ethnicity. Julia is a sophisticated blonde damsel in distress that has a mysterious connection to Spike. She appears to him in visions and whispers to him about his past. The real Julia is the girlfriend of the merciless Syndicate leader Vicious. With Netflix having a history of botching anime adaptations (e.g., Death Note), a lot of people aren’t so keen to see what they have in store for a series like Cowboy Bebop. Then again, these failed adaptations usually occur with television. I’m curious what would happen if you turn it into a whole live-action series where you get proper time for character development and whatnot. No release date has been set for the Cowboy Bebop live-action series.